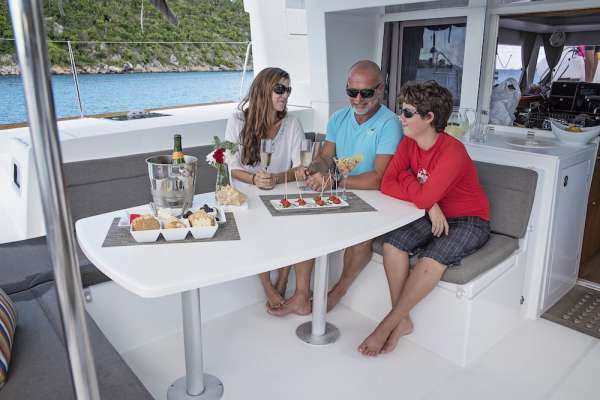 Catamaran Great Adventure is a 2014, 45' Lagoon catamaran offering crewed yacht charters in the BVI & USVI. She features on-board diving for certified guests and accommodations for up to 6 guests in 3 Queen cabins. 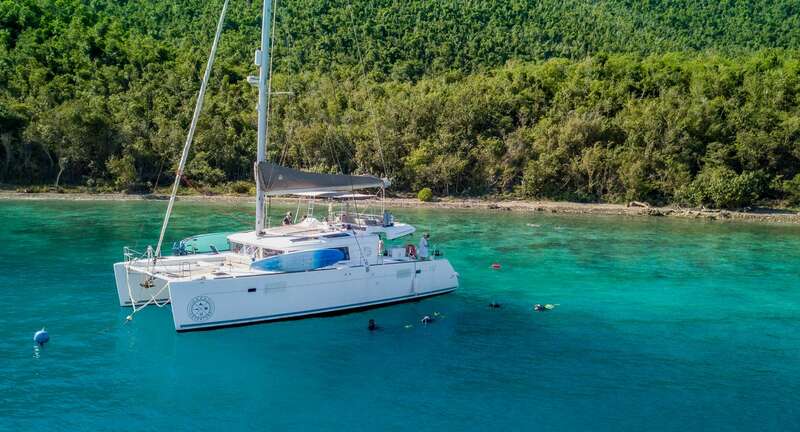 Catamaran Great Adventure is a Carefree Yacht Charters affordable pick for families, couples, divers, or special occasions. 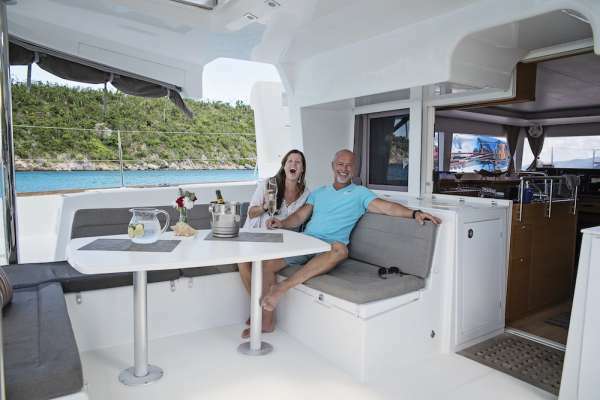 Here's what Conor & Taylor told Carefree Yacht Charters about their chartering experience and previous backgrounds: "We both worked on day charters in the BVI's for years. We just finished our first year of term chartering and loved it. Conor has an immense amount of knowledge about the islands history he loves to share, and sailing his whole life makes the trip feel safe and fun. Taylor grew up cooking and took many culinary classes in Manhattan. 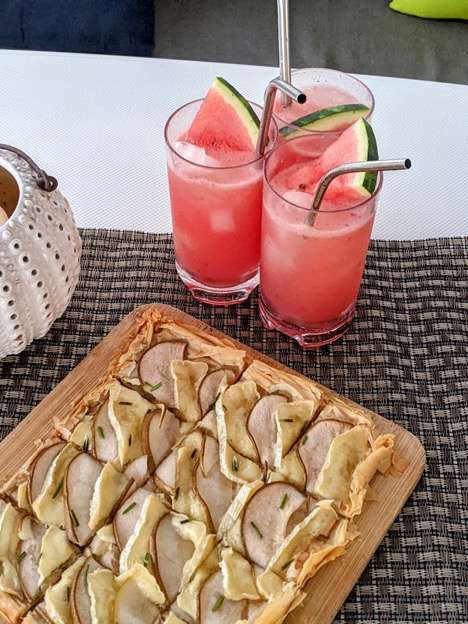 Traveling the world she has put together a great menu to keep everything different and flavorful." Rates from $15,000 to $16,500. View availability, rate details and current Special Offer. To learn more about this crew or for further details about GREAT ADVENTURE, call us in our South Florida office at (954) 980-9281, toll free at (888) 670-6884 or fill out our Quick Request Form. To find the best dates for your charter, call us in our South Florida office at (954) 980-9281, toll free at (888) 670-6884 or fill out our Quick Request Form. Highlighted dates are booked, on hold, or unavailable. We may be able to challenge the dates on hold. Please contact us for details. All other dates not highlighted are available. You can use the arrow icons to navigate through the months. 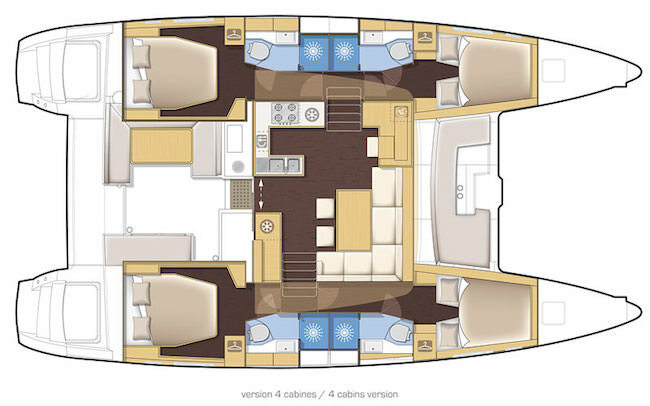 View details on this yacht's availability. 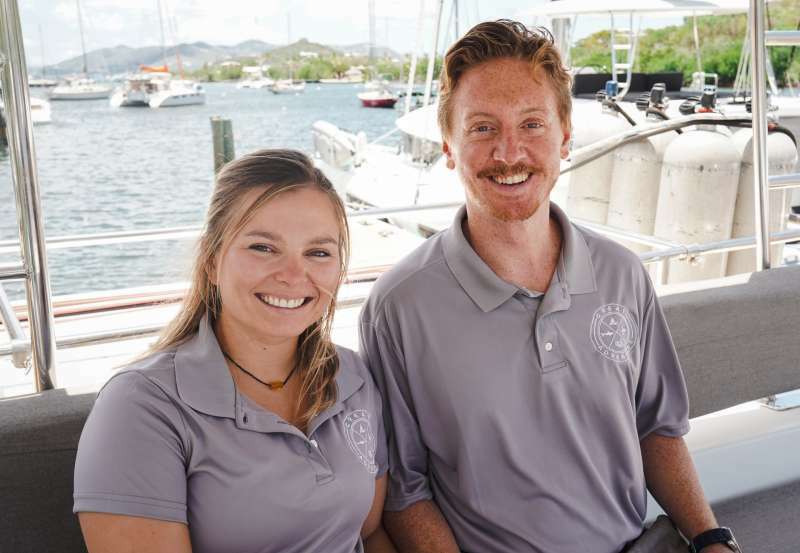 Conor Dugan and Taylor Esposito bring a strong sailing background, adventurous spirits and professional service background to the Virgin Islands charter industry. Conor was born and raised in a small shore town in New Jersey, racing Optis, Lasers and 420s at a young age. His love of sailing progressed into his high-school years; he and his family moved to Wilmington, North Carolina, where he worked summers teaching youth sailing. After a summer spent living aboard a 50' catamaran in the Grenadines, Conor knew that sailing would be a part of his life forever. His passion for sailing continued high-school and into college, he spent his summers on Bald Head Island, NC, teaching sailing aboard J80s on the challenging waters of the Cape Fear River. 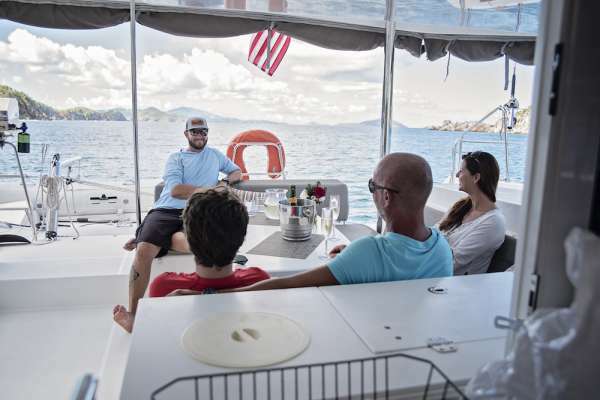 Soon after graduating from UNC Charlotte, Conor decided to move to the US Virgin Islands to pursue a career as a licensed captain, running day charter catamarans out of the Westin and the Ritz-Carlton, before joining Great Adventure. Taylor was born and raised in Upstate New York. Growing up, she spent summers on the rivers among the 1000 Islands, Old Forge Lake in the Adirondacks, and on the beaches of North Carolina. After high school, she chose a route of independence: she moved to Hawaii, learned how to surf and fell in love with the island life. Living for four years on Maui, she developed a passion for a more natural lifestyle. 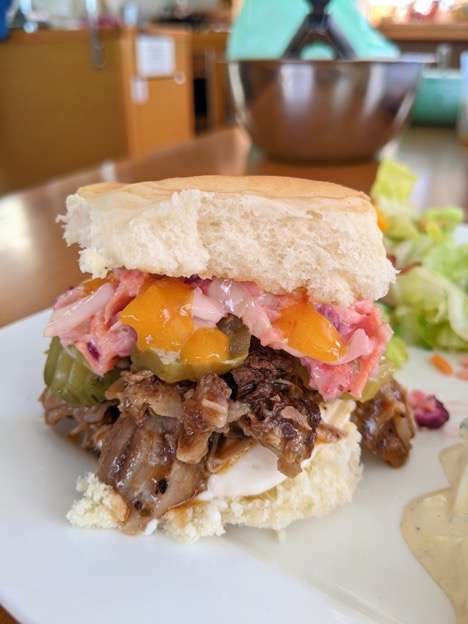 Her time abroad in Thailand, Indonesia, and Central and South America taught Taylor about different flavors and ingredients, which continue to inspire her cooking. 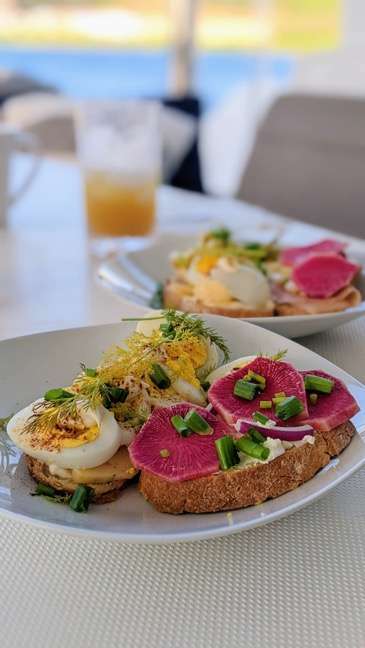 Her culinary instincts are illustrated in her creative style, using healthy, colorful ingredients that taste amazing and leave her guests feeling great. 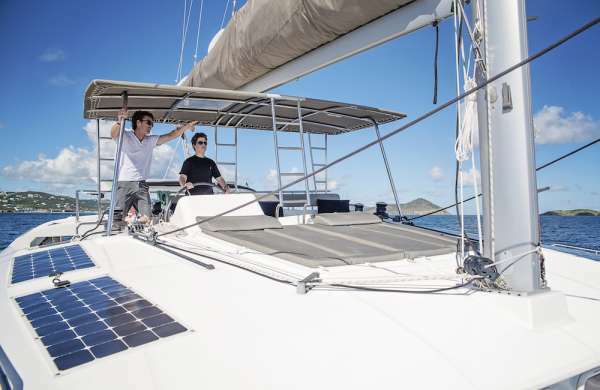 Taylor's love for sailing has reached new heights in the Virgin Islands; working as crew aboard day charter sailing catamarans, teaching sailing aboard Hobie 16s in the St. John National park, and spending time on the water with Conor has shaped Taylor into a well seasoned sailor. Conor and Taylor combine their love for sailing and being on the water with a strong sense of adventure and attention to detail. 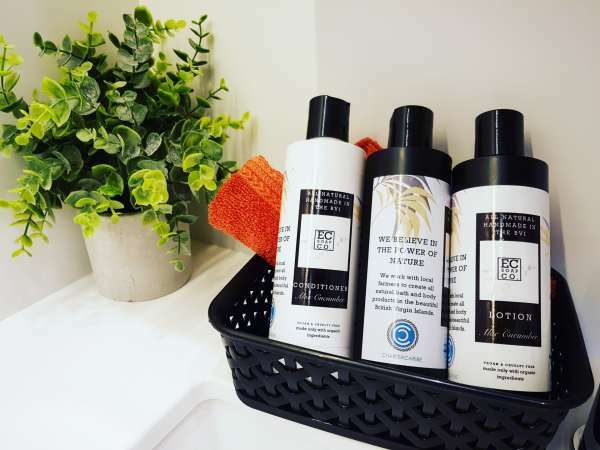 They have amassed a wealth of worldly knowledge and skills that they use to create unforgettable vacation experiences that will leave their guests with new perspectives and life-long memories. Great Adventure is a spectacular model of luxury and stylish design inside. There are 3 Queen Staterooms for guests that all include en-suite bathrooms with separate head and showers. Beautiful natural lighting and great use of space makes these suites extremely comfortable and elegant. Costs: 3 dives per week included for certified divers - charters 6 nights or more. Extra Dives are $25 per person/per dive. Whole wheat pizza with goat cheese, honey caramelized onions, smashed blueberry. Topped with arugula. Grape tomato, mozzarella, and basil skewers with a honey balsamic glaze. Mini vegetable wraps with a creamy peanut butter hummus. Creamy asiago farro with wilted garlic spinach and pan seared scallops. Macadamia crusted Mahi with a lemon caper beurre blanc sauce. Served with couscous and asparagus. Shrimp and handmade gnocchi with a rich garlic parmesan sauce. Grilled salmon served atop whole wheat rice and asparagus, topped with a sweet thai chili glaze. Filet Mignon grilled to preference. Served with hearty risotto, broccolini, and a creamy red wine mushroom sauce. Momma Espo’s homemade chocolate chip cookies. French Coconut Macaroons with a pineapple spiced rum filling. Maple nut fudge with crunchy walnuts. Lava cake topped with fresh raspberries and chocolate drizzle. Our recent trip to the BVI turned out perfectly. Much appreciation to your initial suggestions and guidance that led us to the Great Adventure, a 450 Lagoon that was very clean, well-appointed and sea-worthy in every regard. 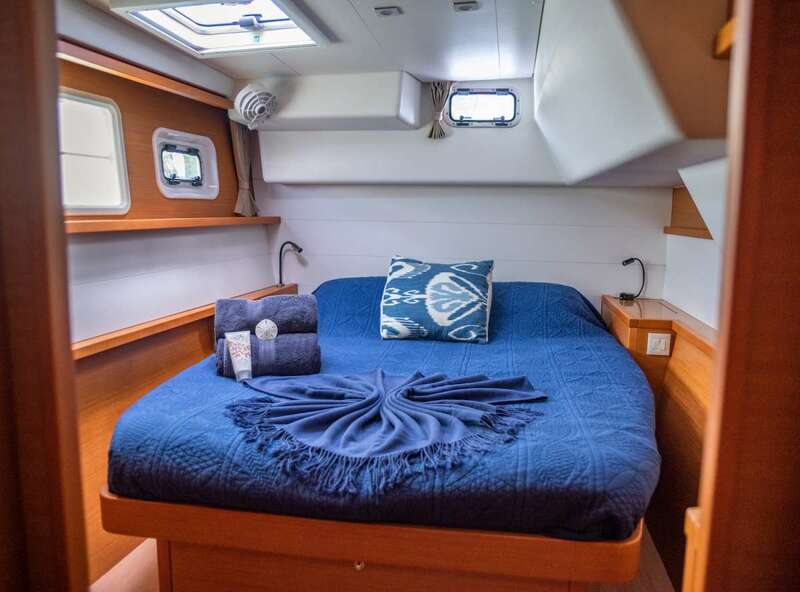 Nice to have a vessel where everything works and our group of 3 couples fit very nicely in our state rooms and on-deck. 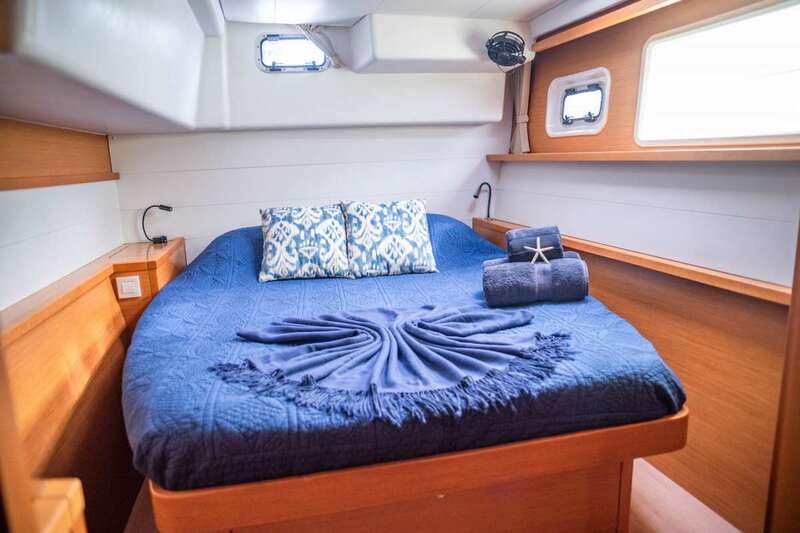 Our venture started with 4 possible companies and quickly narrowed to Carefree Yacht Charters because of the clear and quick information you provided to us for our first-time sail. Your communication throughout the planning stage was very timely, professional and accurate, and your guidance on what to expect was perfect. Our group has power boated for many years and this would be a first sail venture and boating where we were not in charge. It was a welcomed departure from our boating routine. We had a general idea on what we wanted to see during the week and planned to rely substantially on suggestions from the Great Adventure crew to narrow the focus. Very glad we did, since Conor and Taylor had superb ideas and recommendations based on our pre-sail call and our first day onboard. We made further small changes in itinerary along the way based on timing and weather. Their recommendations were always spot-on. 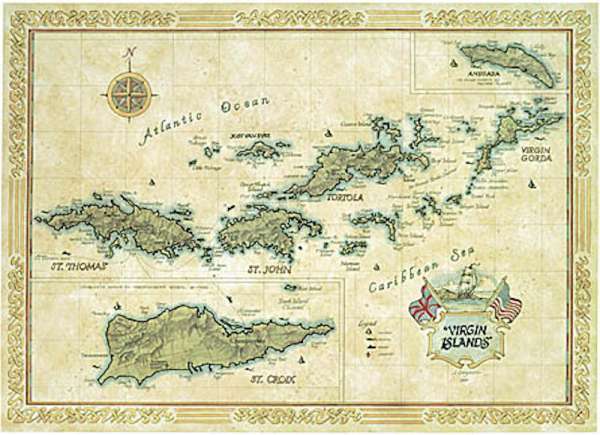 The variety of the islands made each day unique, both in travel to an island but also the activities available on an island. Great Adventures was well-appointed with any water toys that we wanted to use once we arrived at a destination. Our adventure on this sail reached our expectations and beyond. The weather was just as great as advertised and the islands are diamonds in the sea with pristine beaches. All of us reached a level of relaxation slightly above a meditative state. What caused this venture to excel the most, however, was the crew. I think Conor's bio on your website is understated just as he is modest about his knowledge and skill. He is very talented and possesses judgment of a much older captain. Our safety was always prominent in his decisions on one hand, while being very accommodating to our enjoyment on the other. He had total command of Great Adventure. As we watched other vessels maneuver nearby, we were happy we were onboard the Great Adventure. All of this was enough to cement our best trip ever, but we enjoyed a bonus in the cuisine offered up for meals by chef Taylor. It is hard to fathom she could have achieved that level of culinary expertise by now but we experienced it each day - each meal. We found ourselves takings pictures of the presentation before we devoured each meal. Each meal was delectable and healthy and portioned just right. Taylor would describe the ingredients of each meal as she served it and mentioned preparation techniques as well. There was a complexity to most of the meals that revealed her talents. An hour after lunch, we were plying her on what's for dinner and she would playfully demur until its reveal. Lastly, what we did not fully expect was the wonderful interaction we had with Conor and Taylor. They are very interesting, accomplished and engaging. We enjoyed lots of good conversations. Somehow, they also managed to handled all of what was required to move our adventure forward and make it great. First off, we loved working with you and would definitely use you guys again for a charter. Everything was well organized and no surprises. It may be 2-3 years before we do another charter but when we do I would not hesitate to go again on the Great Adventure with Conor and Taylor. They really made this a vacation and escape from reality! If they move on, then hopefully you can place us with a crew that is similar! 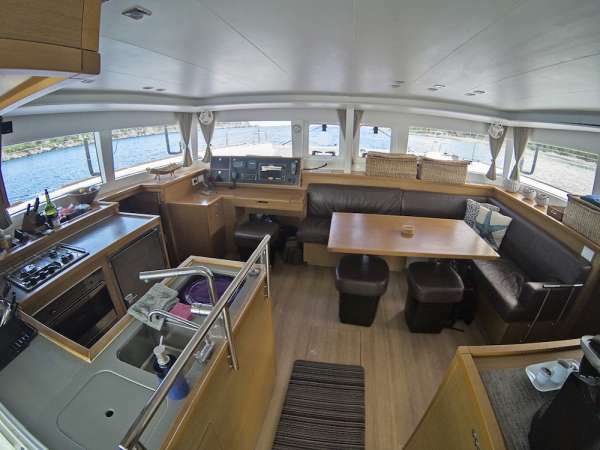 The boat was great, very well maintained, super clean and the perfect size for our family. I felt the best part of this boat was the large custom shade top over the helm. 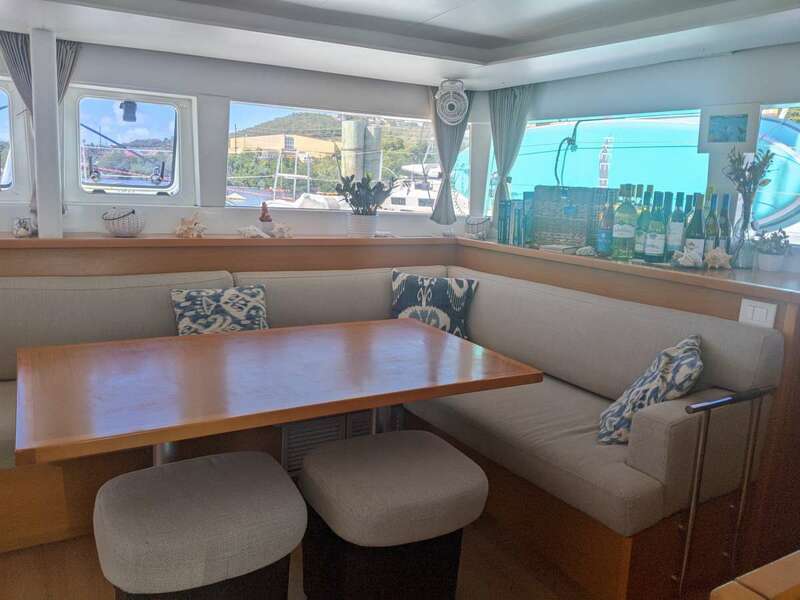 Our whole family could hang out up there with captain Conor and enjoy the breeze and views and use the sun pad as well. We also were happy to have AC at night. Kids loved the paddle boards and kayak. Taylor suggested a taxi guy that was very good and made things super easy. That was a nice touch. I can't say enough good things about Conor and Taylor. They were perfect with our kids, patient and interesting. Taylor's menu was outstanding. We really appreciated how they kept ice and soda stocked up. They took our food suggestions to heart, too. Wouldn't change a thing. We liked that they were energetic and we could tell they truly liked what they were doing. Our kids loved how they had some input on where we went and how long we stayed at the beach stops. They loved Taylor and Conor and enjoyed learning about sailing and playing games/talking with the crew. Our diving was good. Conor is a knowledgable dive master and we dove some fun sites. We used their equipment and brought our own masks and that was just fine. It may be 2-3 years before we do another charter but when we do I would not hesitate to go again on the Great Adventure with Conor and Taylor. They really made this a vacation and escape from reality! If they move on, then hopefully you can place us with a crew that is similar! We had the most amazing vacation...Conor and Taylor were awesome! The boat was perfect, the food superb and they were both so fun to be around and hang out with. Conor proved to be an excellent dive master for the newbie divers and everything Taylor prepared for meals was fantastic. 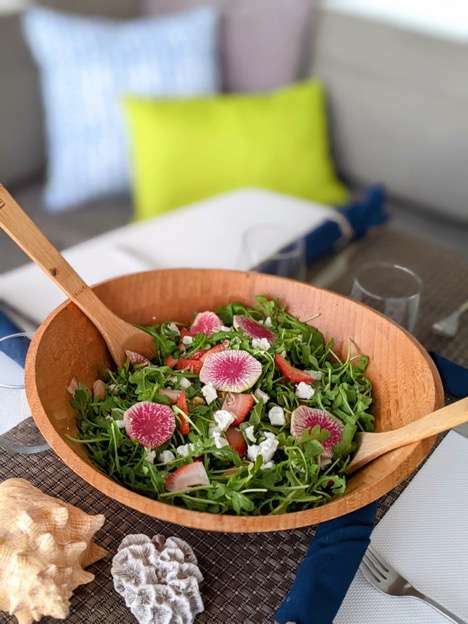 I cannot say enough good things and have already recommended them to friends (via Carefree Yacht Charters of course!). We have said over and over again how lucky we were to have stumbled upon your website when beginning our search for this trip. You helped us navigate all the ins and outs of the trip planing, hurricane, boat switch, etc. and made the process easy and stress free. We will definitely be recommending your company as a liaison to any of our friends who are thinking of this type of vacation! Thanks so much! We had the most wonderful time on our trip with Conor and Taylor!! Conor was an amazing captain and super accommodating! Taylor's gourmet meals were exceptional, clean and healthy!! She was so helpful with all of our weird allergies and was so sweet and considerate. Taylor and Conor make a great team and we feel very fortunate and lucky to have been paired up with them! They hung out with us and played our silly games! This is a trip of a lifetime! Conor knew exactly the best reefs to snorkel and we couldn't be happier with our experience! Thank you for ALL your help Lynne and please extend our thanks to Conor and Taylor! We have already discussed our next sail trip! At Carefree Yacht Charters®, we specialize in arranging extraordinary crewed yacht charters in the BVI as well as other Caribbean destinations. For full details, call us in our South Florida office at (954) 980-9281, toll free at (888) 670-6884 or fill out our Quick Request Form.